Emmanuel Macron is the new president of France. Like Donald Trump, he is a businessman who had never held public office before becoming president. But that is where the similarities end. He was endorsed by Obama. That should tell you a lot about him. He is a Communist. “But I thought he was a Centrist.” His roots are in the French Communist Party. In 2006 he became a member of the Socialist Party (Communist Lite). 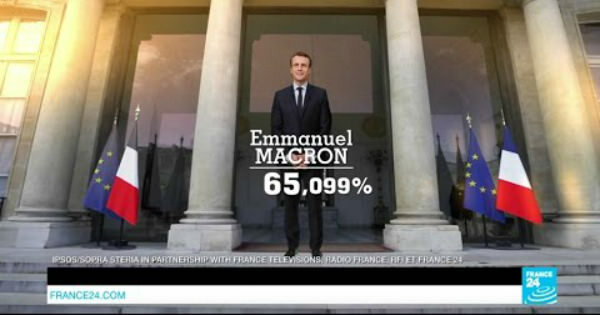 Since the Socialist Party already had a candidate in the race, in November Macron announced that he would run for president as a member of “En Marche!” – a party that no one had ever heard of. That’s because Macron founded it just a few months before he announced his presidential run, and he was reportedly the only founding member. Coincidentally the initials of the party, EM, are the same as those of the leader. (He apparently likes himself – a lot.) He says the party is “Centrist”, which he describes as “progressive” (Socialist) embracing both the Left and the Right. But it’s hard to imagine anyone on the Right embracing a progressive-Socialist party run by a narcissist. Macron ran as the establishment candidate, which in France means embracing the government-controlled, Socialist, open borders, pro-European Union policies of his former boss and mentor, past-president Francois Hollande, head of the Socialist Party. Not surprisingly, the Grand Mosque of Paris urged all French Muslims to vote for Macron. His opponent in the runoff election was Marine Le Pen, a politician and lawyer who campaigned on a platform of France First, protecting the borders, and leaving the European Union. Her party, the French National Front, which is right-of-center (Conservative in American terms) had never won more than 11% in a national election. So even though she lost to Macron, her capturing 35% of the vote was a major win for her party, thrusting it and its values into the forefront. Many pundits say that this sets the stage for Le Pen to defeat Macros in the next election. The irony of this election is that the press played a huge role, as it does in America. The French press acted as the PR Department for Macron, just as the American press did for Hillary. And the French press savagely attacked Le Pen, just as the American press did Donald Trump. The reason Macron won was that he didn’t make the huge mistakes Hillary did. As we all know, the press can set the stage and control the dialogue in favor of their candidate. So a Communist/Socialist Emmanuel Macron was transformed by the media into a “Centrist.” And Conservative Marine Le Pen was constantly portrayed as a far-right radical. The reason Trump won after suffering similar abuse was that he had the ability to go around the press directly to the American people. Macron is president, so France can look forward to more illegal Muslims invading their nation, more control of their nation’s internal affairs by the European Union, and more Socialism (including higher taxes and an ever-expanding welfare state). French citizens, including the richest man in the nation and Hollywood star Gerard Depardieu, have been moving a few miles away to Belgium to avoid the 75% wealth tax instituted by then-president Socialist Hollande – and supported by Emmanuel Macron. What would have happened if Le Pen had become president? Well, the Muslims would have been unhappy, since she had promised to halt illegal immigration. France is the European nation most at risk for becoming a Muslim majority nation. She also promised to free France from the tyranny of the European Union. The sentiment in France is that it is the next most likely nation to leave the EU. Now that the United Kingdom has exited the EU, France and Germany have been left to support the poorer nations. The citizens of both these countries are weary of paying high taxes, much of which go to the EU to support other nations which have been irresponsible with their finances and debt. Germany, which is more prosperous than France, is better able to support this burden. But France, after years of Socialist rule, is having a harder time convincing it’s citizens to continue to bail out nations that spend and borrow, but produce little. Many pundits say that the Brexit (The “British Exit” from the European Union) was the first crack in the foundation of the EU. I disagree. Both Switzerland and Iceland had applied to join the EU in recent years, and later withdrew their applications. That was the first crack in the foundation. Brexit was the second. I believe French withdrawal is inevitable, and it will be the final, fatal crack. Germany would be happy to be the King of the EU, but it will not be willing to shoulder the financial burden for the remaining 29, mostly poor, nations. The United Kingdom, Germany and France, in that order, have been the financial foundation of the EU. Without them, the EU will slowly dissolve as the remaining nations bicker over who will pay for what. The EU was ill-conceived. Power-hungry politicians wanted to see an American-style Europe – a United States of Europe, if you will. If they had stuck to free trade and easy passage of their citizens across their borders, it would have worked. But the moment they decided to take over the currency of the individual nations, they crossed a serious red line. A nation that cannot control its own currency is no longer a sovereign nation. Once someone else controls a nation’s currency, the nation loses control over its interest rates. That means they no longer control bank rates, bond rates and mortgage rates. The unseen hand controls their economic future. This is why the United Kingdom and three other nations were members of the European Union – but refused to join the Eurozone. Joining the Eurozone would have meant the UK giving up their currency, The Pound, and adopting The Euro. Since they refused to do this, it made it easier for them to secede from the EU. France has given up the Franc, and Germany has given up the Mark. But I’ll bet they have their mints and printing presses intact and under lock and key still. They should probably send someone to those building to dust off the equipment and oil everything up. I have a feeling they will need to use them sometime soon. Dr. Tom Barrett has been a pastor for over 40 years and currently oversees ordained ministers in South Florida. He has always been a bi-vocational minister, working in the financial services arena as a Branch Manager and National Vice President. He is a Patriot who has studied and taught the Constitution in both church and secular settings. A prolific author he has written a book on Conservative principles (The Best of Conservative Truth) and has written over a thousand feature articles that have been published in local and national newspapers as well as on the Internet. He speaks nationally on the Christian foundations of our nation and its Constitution, and internationally on Biblical financial principles. He has lectured at seminaries, universities, economic summits, churches, and the International Money Shows. 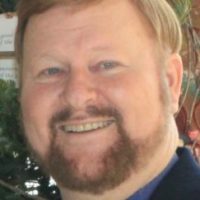 His websites are www.ConservativeTruth.org (writing); www.ChristianFinancialConcepts.com (ministry); www.InvestmentGrade.gold (precious metals), and www.DrTom.TV (personal). His work is followed by thousands at www.Facebook.com/DrTomTV.